I am thanking God that I am feeling so much better physically since I switched to day shift last spring. I asked the Lord how I could reach more students at the University and decided to try putting a sign up for a Bible study on the bulletin board where the international graduate students live. I taught the first class last month and was surprised that 3 men came and no women. Two of the men, Min and Park, are from Korea and getting their PhD. All three listened intently to the class as they have never had any exposure to the Bible. At the same time, one of the elders at church began teaching a Bible class in the married students’ apartments and had three Korean women attending. So we decided it would make sense to switch classes. The women listened well as I taught them slowly and carefully in English. They are learning English so sometimes communication is challenging, but we both ask God to help us understand His precious word and are making progress. I recently read a very helpful book in understanding their culture called Korean Patterns by Paul Crane who was a missionary in Korea for many years. 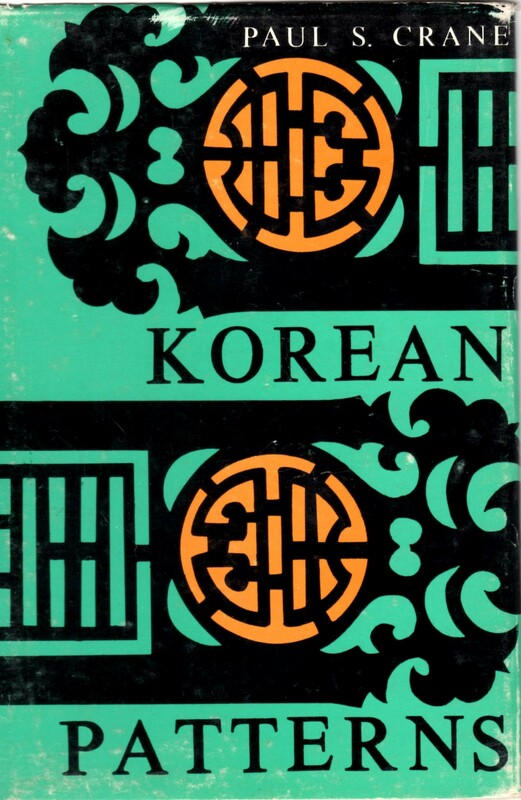 The book called Korean Patterns helped me understand the Korean culture. I also now have a Bible Club for children in my new home and am delighted to discover I have many Japanese neighbors who work at the nearby new Japanese auto plant. The auto plant brings their engineers and their families from Japan to the USA for several years at a time to teach the Americans how to build Japanese cars. The wives stay at home raising the children and are very eager to have their children learn English since they are attending American public schools. They readily send their children to Bible club to help them with their English. The children are listening well as I teach them, and I pray they will receive Jesus Christ as their personal Savior as well as learn English. 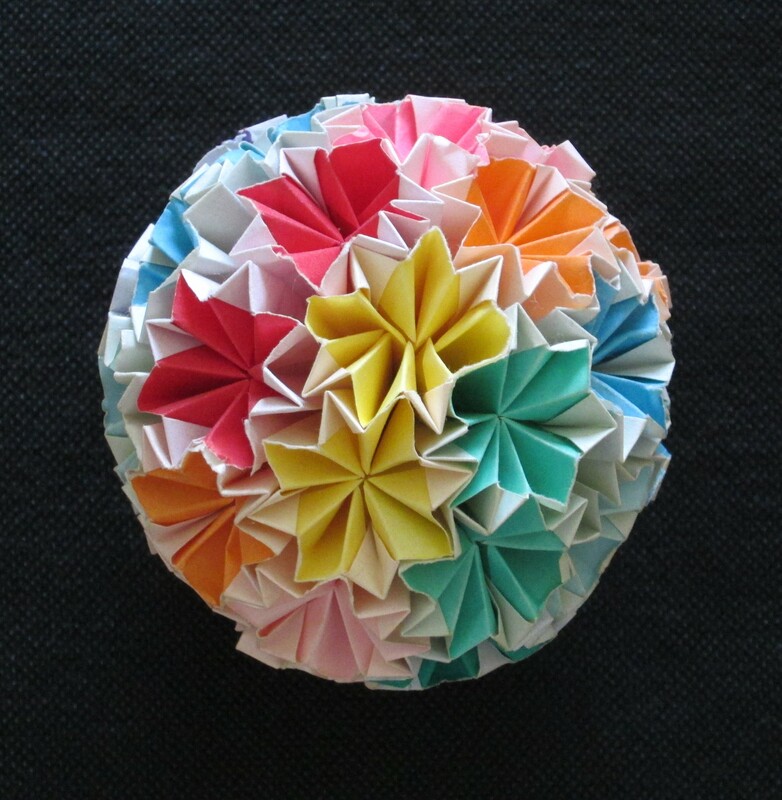 Colorful Origami ball one of the Japanese Bible Club children made for me! Min recently told me that after being closed to outsiders since 1949, China is once again letting a few foreigners visit in tour groups or teach English. As I was reading one of my nursing journals, I read the ad for a nursing tour of China in June, 1986 for 16 days. As I recalled all the missionary biographies I have read of Hudson Taylor, Isobel, Kuhn, and J.O. Fraser from the China Inland Mission, I asked the Lord if He wanted me to visit China on this tour? I asked my Director if I could have 3 weeks off to go on the tour? She agreed but declined to give me any educational days, so I will have to take 4 days off without pay since I don’t have quite enough vacation time. So I sent in my registration with my deposit which included trip cancellation insurance. One of the Koreans introduced me to a visiting linguistics professor, Mr. S. from Beijing. It was a great privilege to meet Mr. S and share the gospel with him and invite him to the main Bible class on campus. He has come for three weeks in a row and said he wants to attend every week! He also volunteered to give me private Chinese lessons at his home! He said I could learn 500-1000 phrases over the next 8 months. I learned there are 4 tones in Mandarin Chinese which is what they speak in mainland China where I’m going. The word has a totally different meaning depending on the tone you use. I think my music background is helping me recognize the different tones. Mr S. said I’m making good progress, but it seems very slow to me. I’m not even attempting to learn how to read or write the characters since my time is so short before June. I’m glad they use the Pinyin system which uses the 26 English letters to write out the Chinese words like they sound. 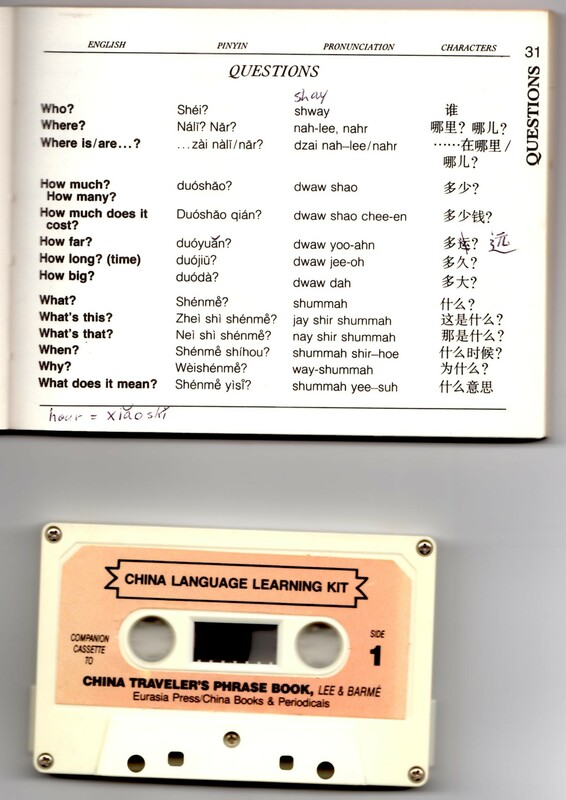 My Chinese phrase book and 1982 cassette I listened to many times. Mr. S.’s wife has started attending the Korean women’s Bible class with me weekly. She doesn’t speak much English, but she is trying very hard to learn. I was so excited when she memorized John 3:16 in both Chinese and English! Only the Lord knows how many Chinese Christians have been tortured, imprisoned, and killed since 1949. But there is some word getting out now that the believers have grown exponentially into the millions as a result of the severe persecution they have suffered under the communists who promote atheism. How I pray for the believers there to be strong in the Lord! I also pray God will let me meet some of the them and that we might encourage one another in the faith. I had Mr S. translate an English gospel tract for me to take with me. I also ordered 50 Chinese-English Gospels of John to give out as gifts. My parents gave me a beautiful book on China from the National Geographic Society that has over 400 photos. I so hope the Lord allows me to go in June! So far, all the doors seem to be open for me. 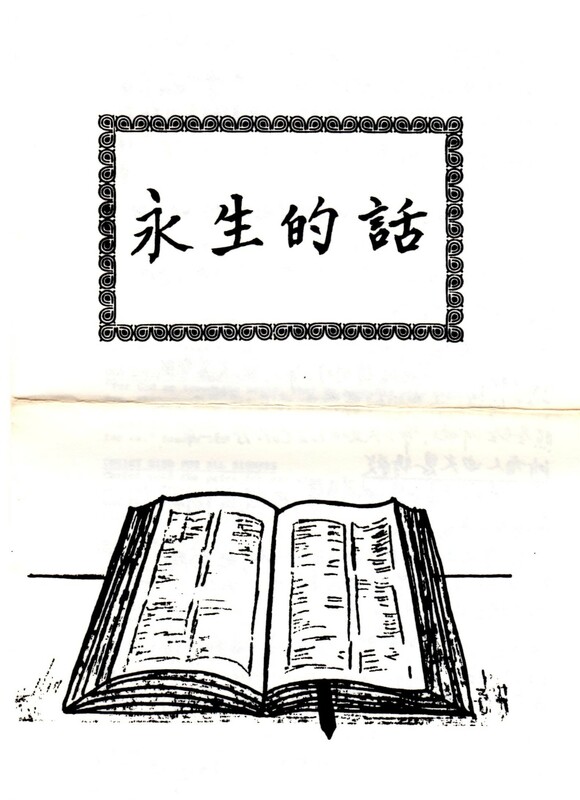 Chinese English gospel tract my Chinese teacher translated for me. Chinese English Gospel of John I took with me. 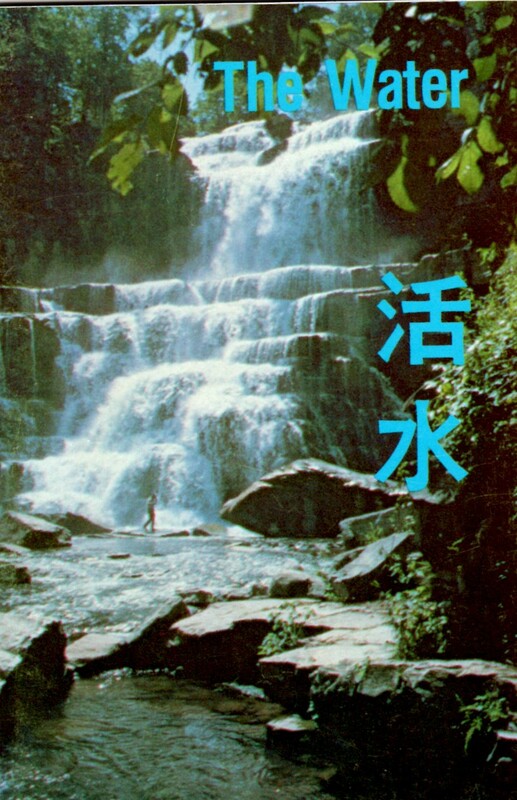 Over the next posts, I will continue with my journey to China and how it was nearly cancelled. Over the years, the Lord has brought many Chinese people into my life, especially visiting students. I have had the wonderful opportunity to share the gospel with quite a few of them and have had the joy of witnessing several receive Christ as their Savior. They always are excited when I pull out my photo album from 1986 as some of them weren’t even born then! Not too many Chinese nationals had cameras in 1986, so their parents usually do not have many photos to show them from that time period. Several of the Japanese Bible Club children also received Christ as their Savior and then returned to Japan with their parents. They are now in their late thirties. I pray they are worshiping our Savior and growing in His grace. Min and Park both received Christ as their Savior and returned to Korea after receiving their PhD. For several years, I received Christmas cards from each of them and was delighted when each of them wrote to me and told me God had given him a Christian wife! How wonderful It will be to worship the Lord together for all eternity!